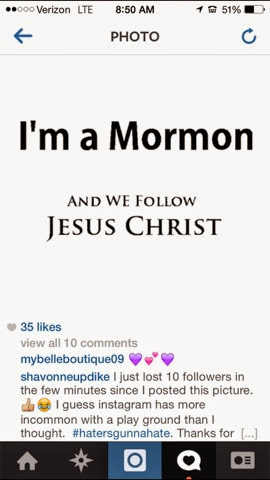 I believe in Christ and I am a Mormon. My seven year old daughter Haven came home last week and informed me that two of her best friends at school didn't want to be her friends anymore because they found out she was Mormon and according to their pastors and parents she wasn't a Christian. Sadly, this couldn't be further from the truth as the very name of our church is The Church of Jesus Christ of Latter-day Saints. You can walk into any LDS church anywhere in the world at any time anyone is meeting there and you will NEVER hear another religion defamed. We believe our time is best spent learning more about Christ's life and how we can pattern our own after it rather than to say negative things about others. If you wanted an answer on something wouldn't you go to it's source? Please don't take other's opinions of our beliefs as fact, as many times it is misrepresented. I find it oxymoronic that there are many casting stones when we all emulate the same person and are simply striving to be better people. There are enough atrocities dividing the world and our nation right now, at a time when I believe it is pivotal that we share a common ground. 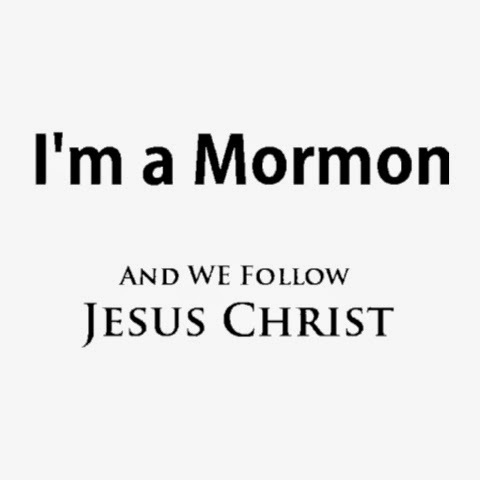 So for the first time ever I'm going to let the world publicly know that I believe in Christ and I am a Mormon. •If you have questions feel free to visit www.lds.org where they have live Q&A. •If you want to see what the inside of our temples look like, tickets are now available for a tour of the Phoenix Temple before it's dedication. •An interesting read on us "Mormons."